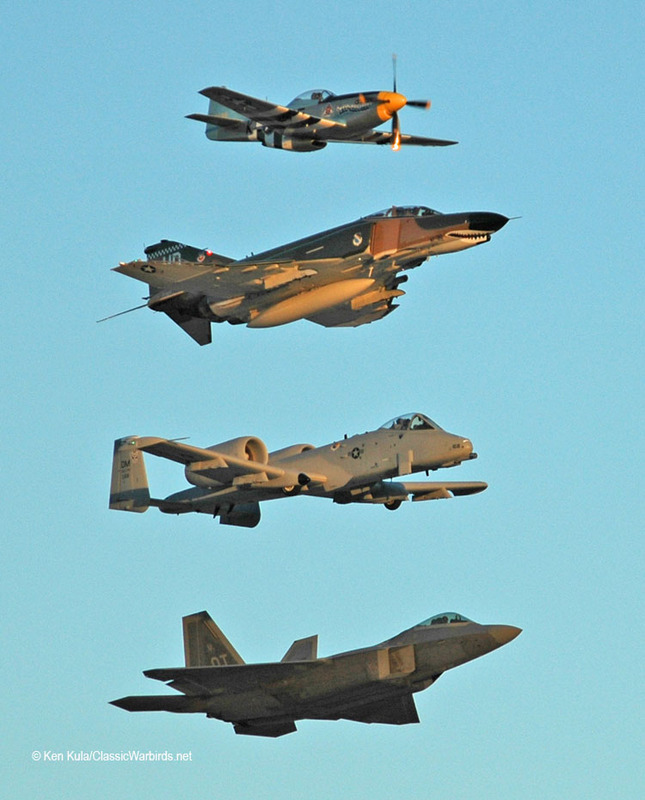 "Dissimilar formation" is a term used to describe a formation with at least two different types of aircraft in it. 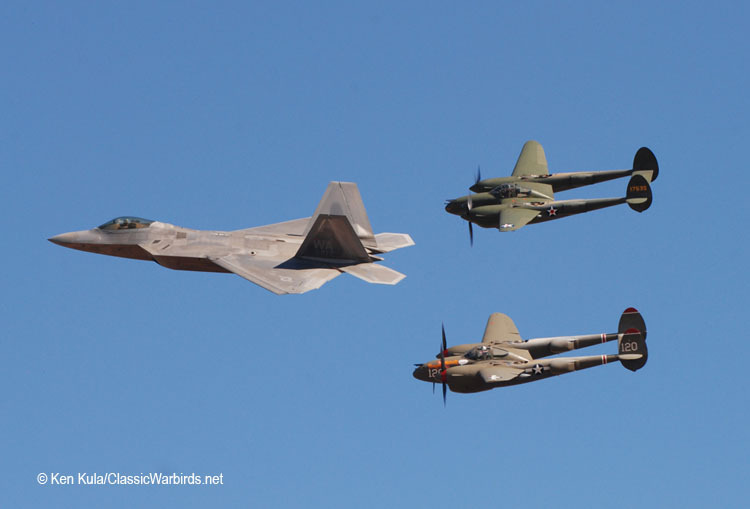 At air shows with military themes, a common practice is to team warbirds and active military aircraft together, in formation. 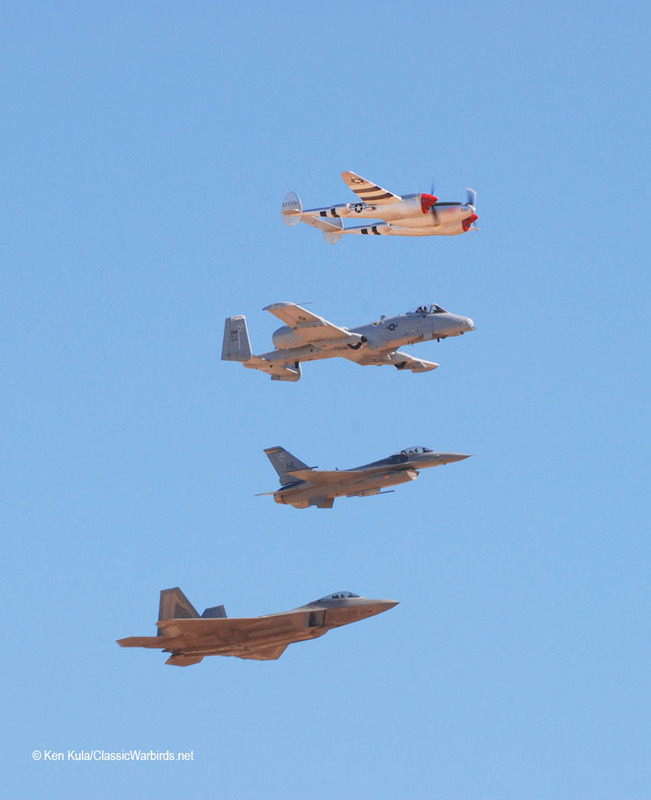 Presented as Air Force heritage flights, they're now presented by the Air Force Heritage Flight Foundation. 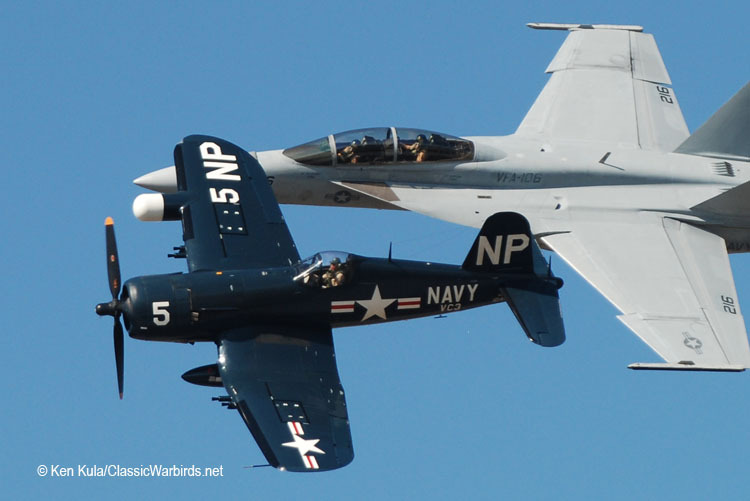 Navy legacy formations are now presented by the Navy Tailhook Legacy Flight Foundation. 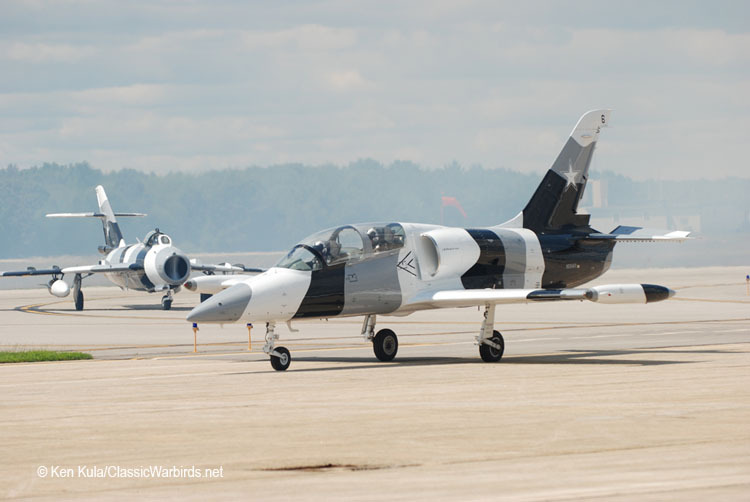 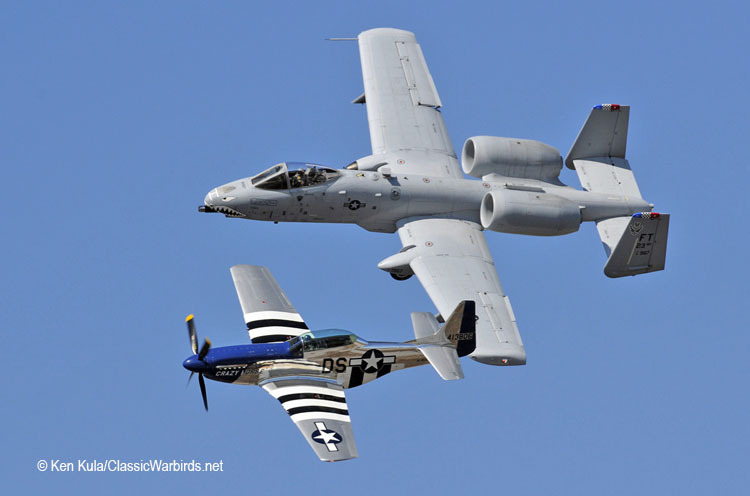 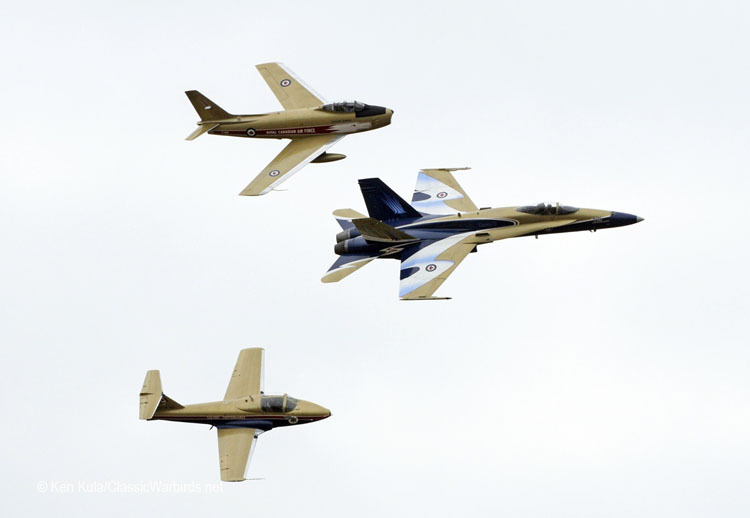 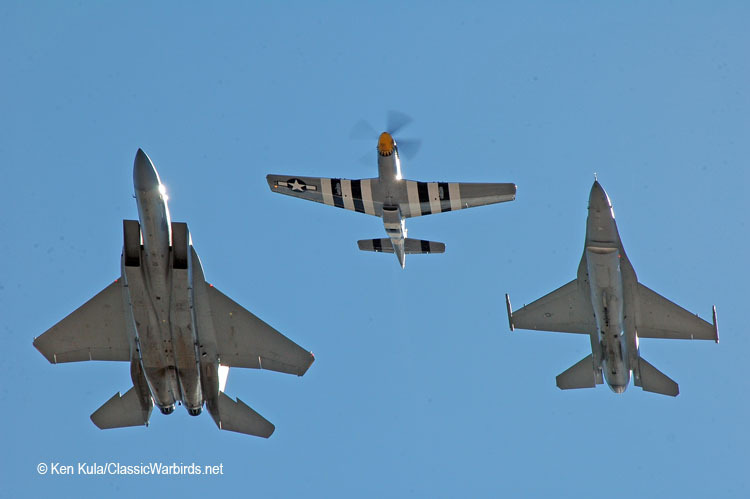 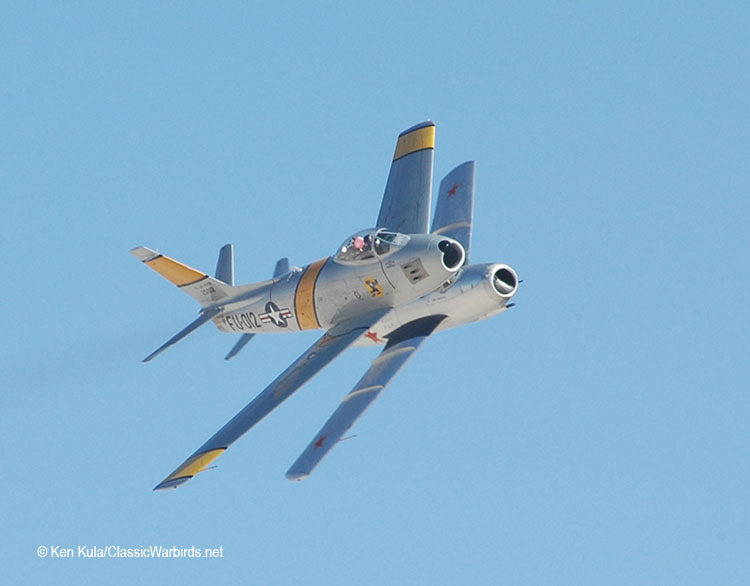 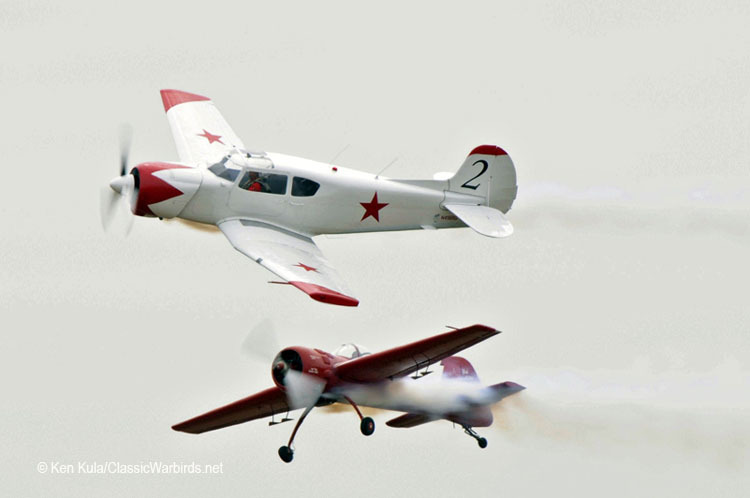 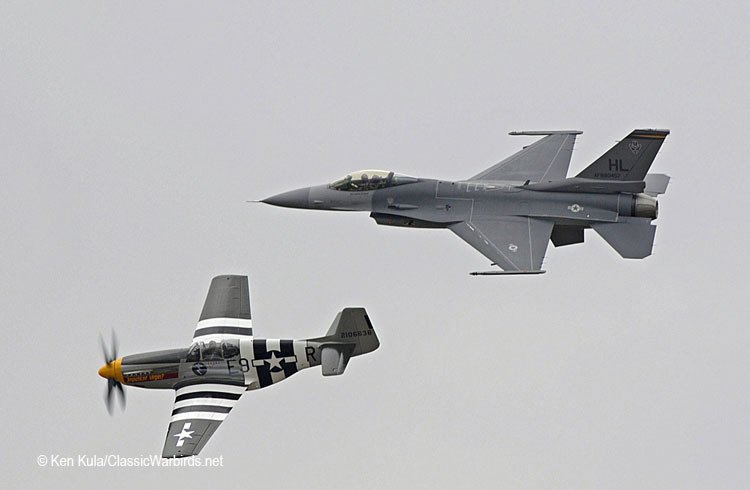 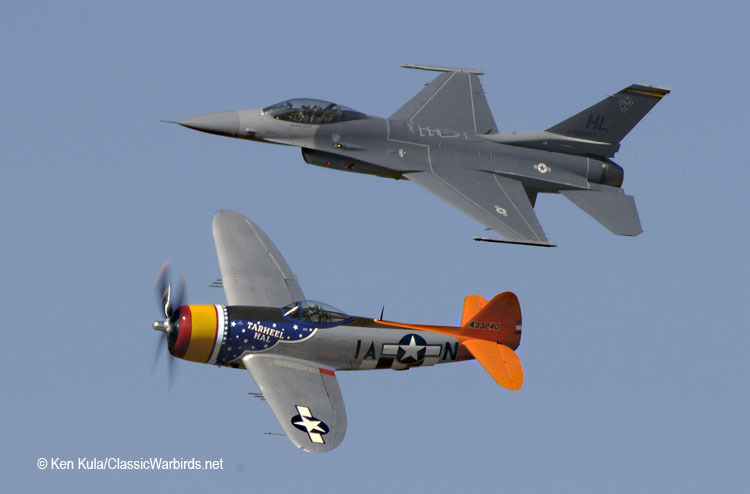 At shows that feature Warbirds or a particular military aviation era from the United States' past, different warbirds team up in dissimilar formations too. 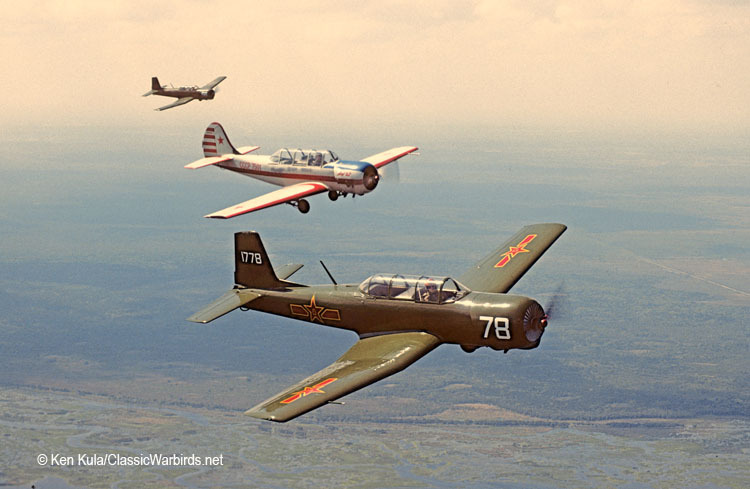 Dissimilar formations are rather common in countries than the U.S. as well. 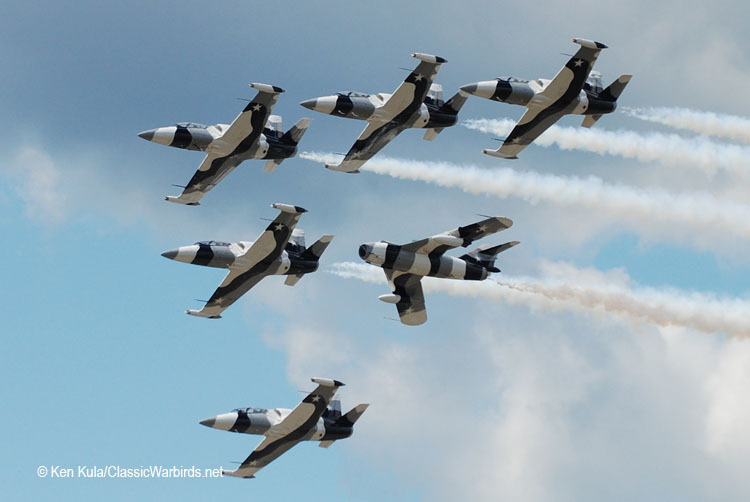 All pilots in any of these formations go through rigorous training and certification. 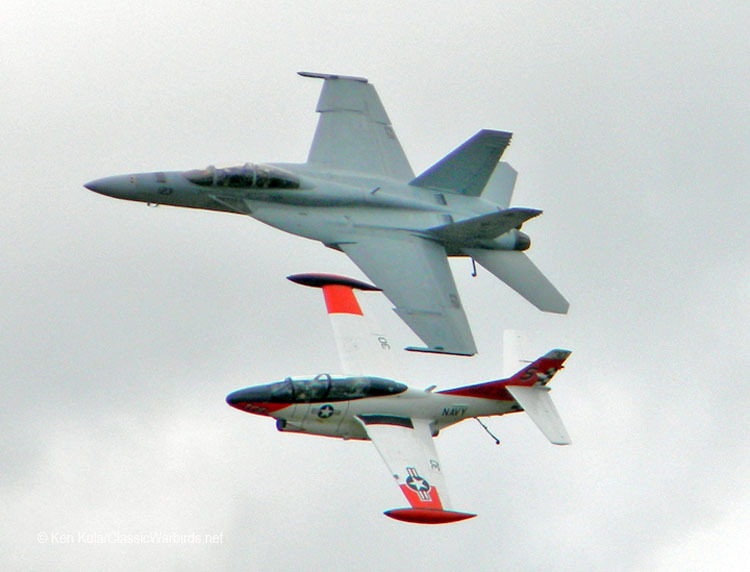 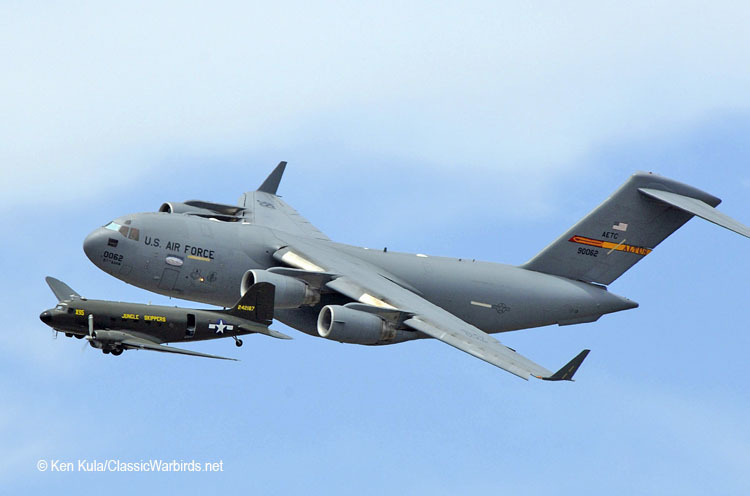 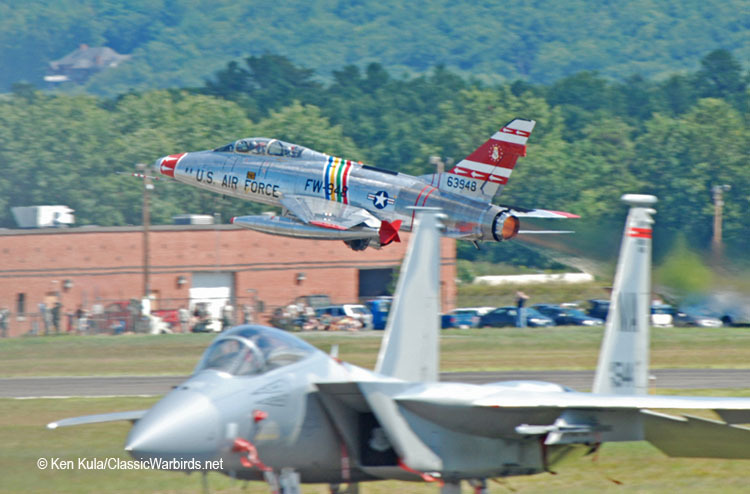 Their skill allows us, as spectators, to witness where military aviation has been, and where we've arrived at today. 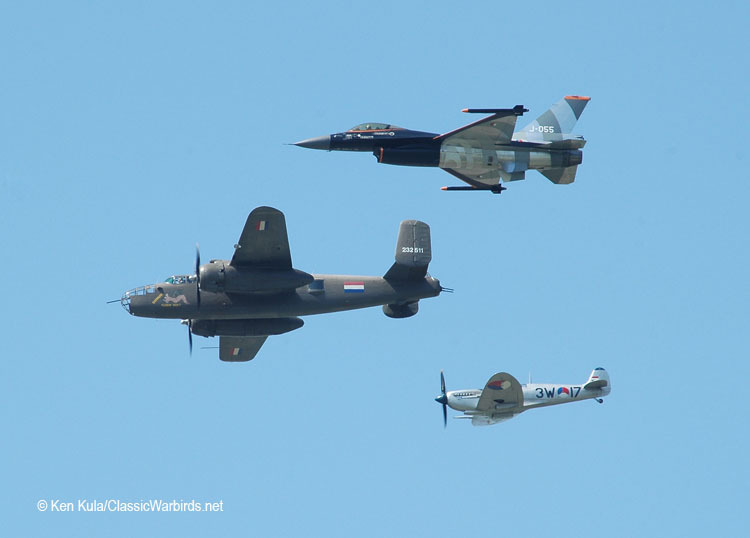 Here are a series of dissimilar formations containing at least one retired military aircraft type... from piston fighters of World War II to types just recently retired from military service. 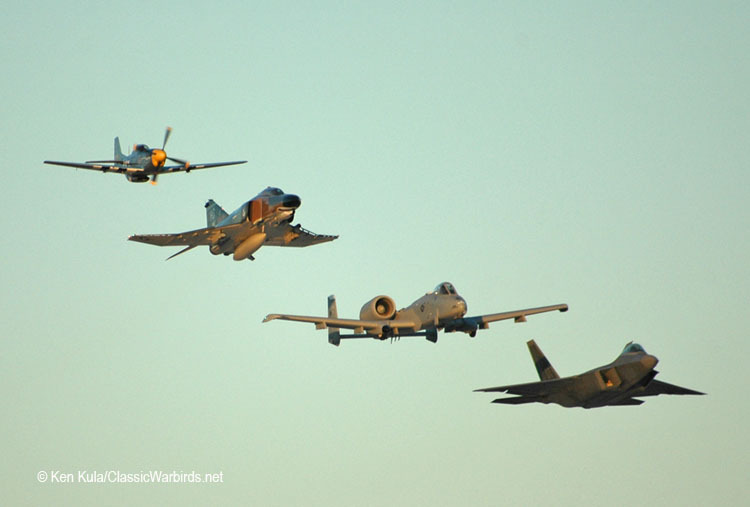 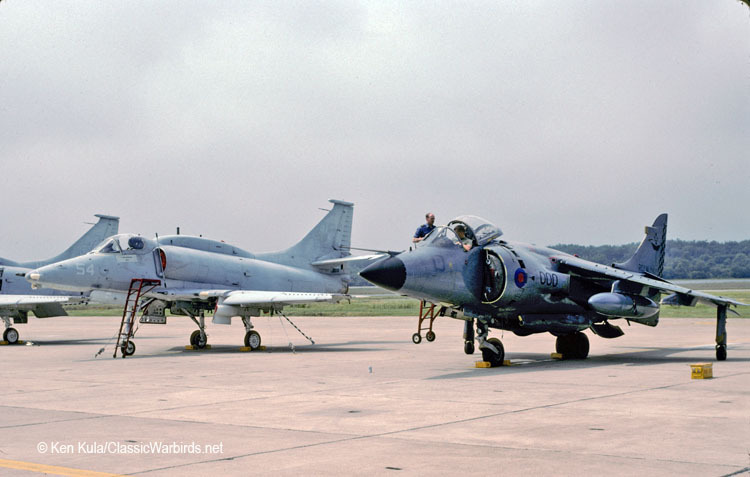 I've thrown in some photos of non-airborne aircraft groups too.